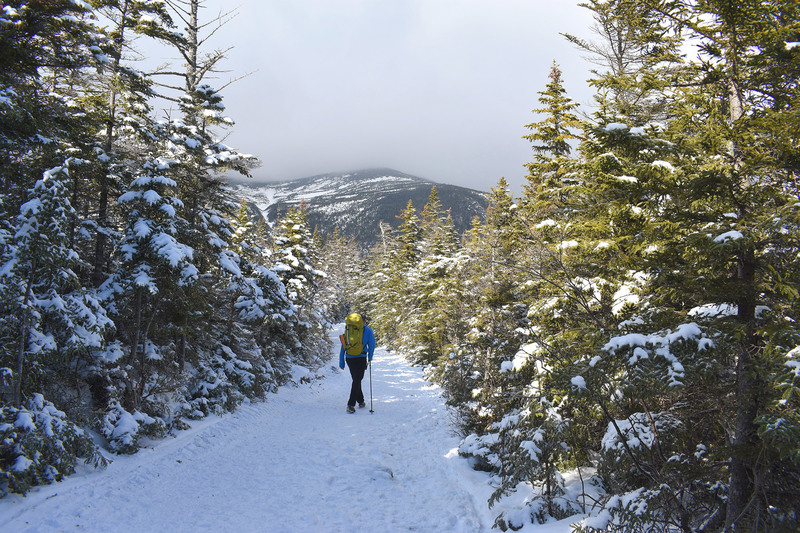 Winter hiking in the White Mountains can be extremely rewarding. 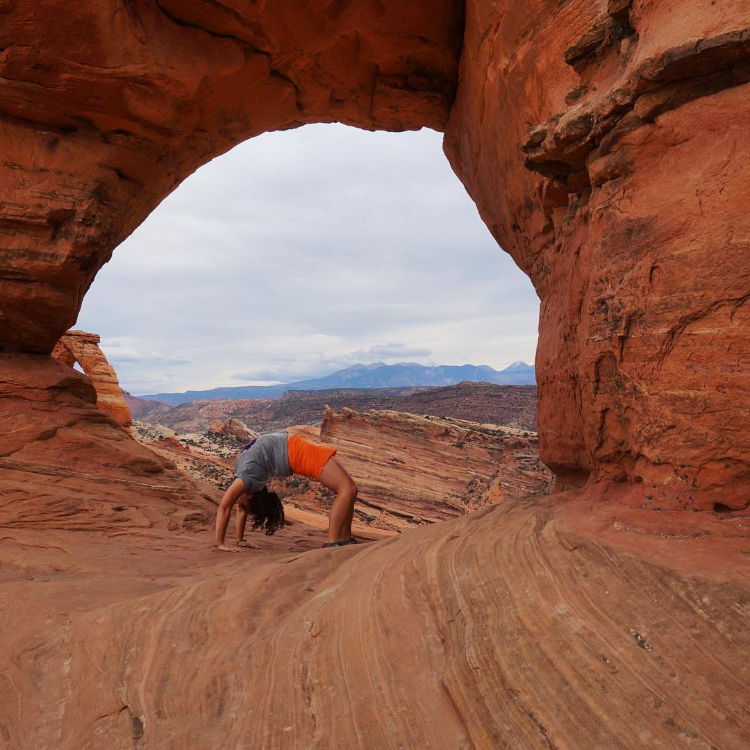 Not only can you avoid the crowds, but also, you’re able to see the mountains in a vastly different light. 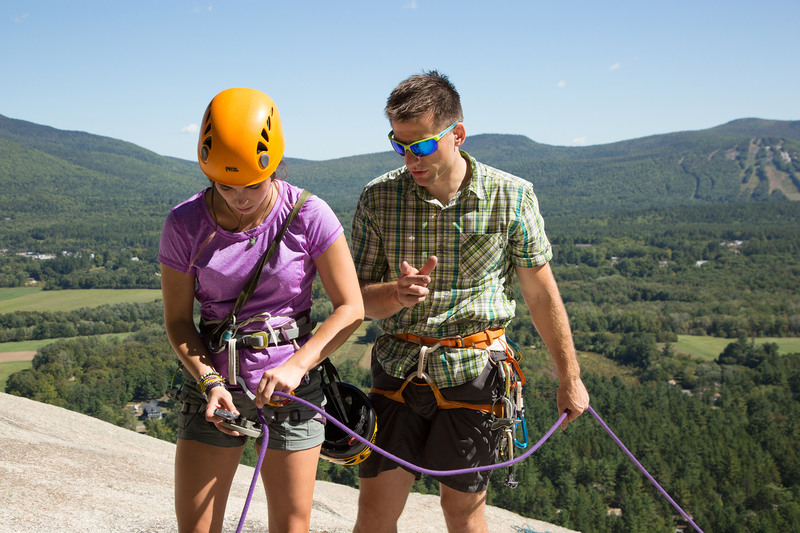 You’ll further find that there’s nothing quite like the tundra experience atop some of New Hampshire’s tallest peaks. 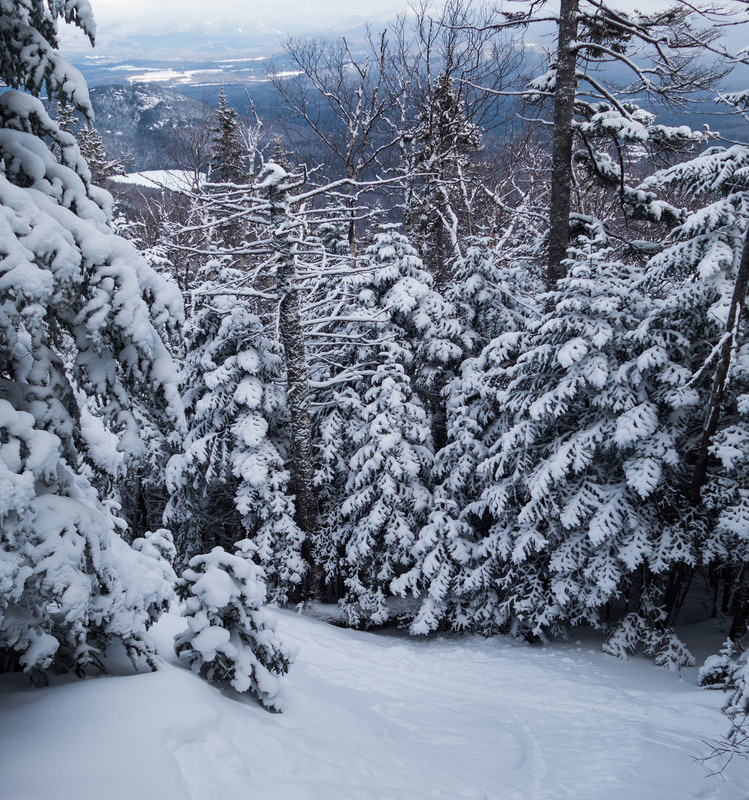 Here, you’ll see pines encased with perfectly white snow, and trails full of fresh powder or slicked with ice. 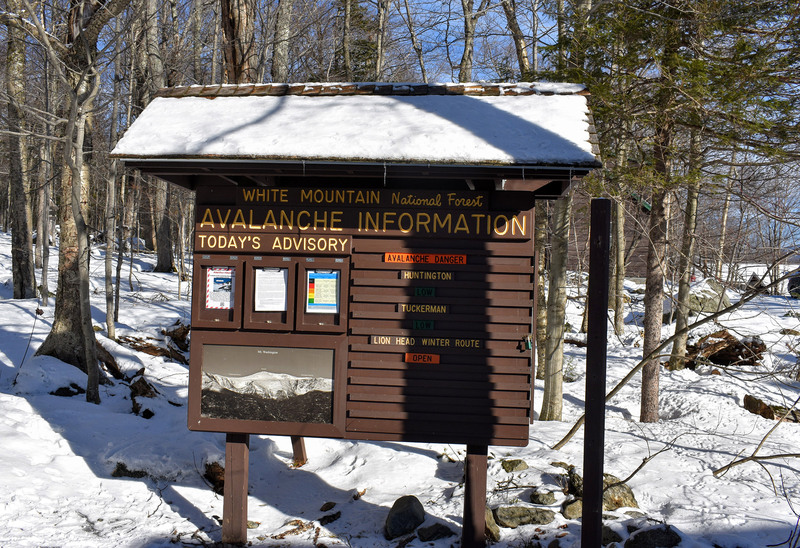 And, whether you’re new to winter hiking, or looking for a quick lunchtime trek to burn off those holiday calories, the Whites have a winter-wonderland of options. 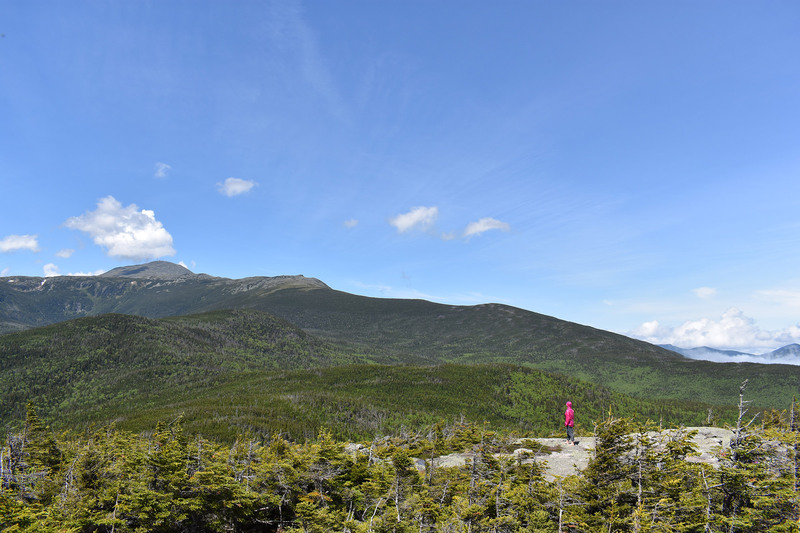 Mount Willard is easily one of the Whites’ most rewarding hikes. 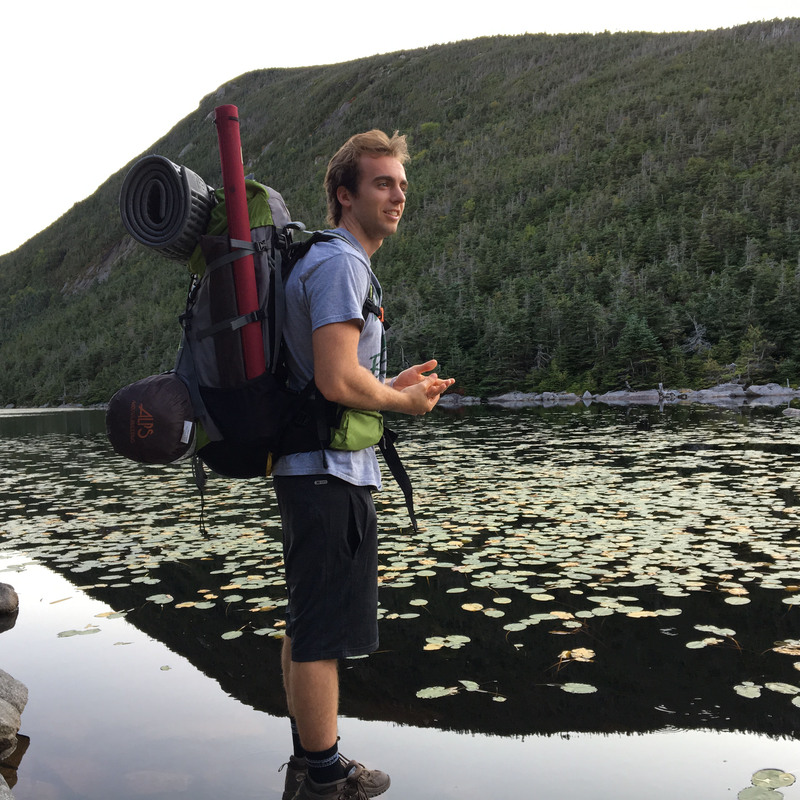 Specifically, with minimal effort, you can experience stunning views of Crawford Notch. 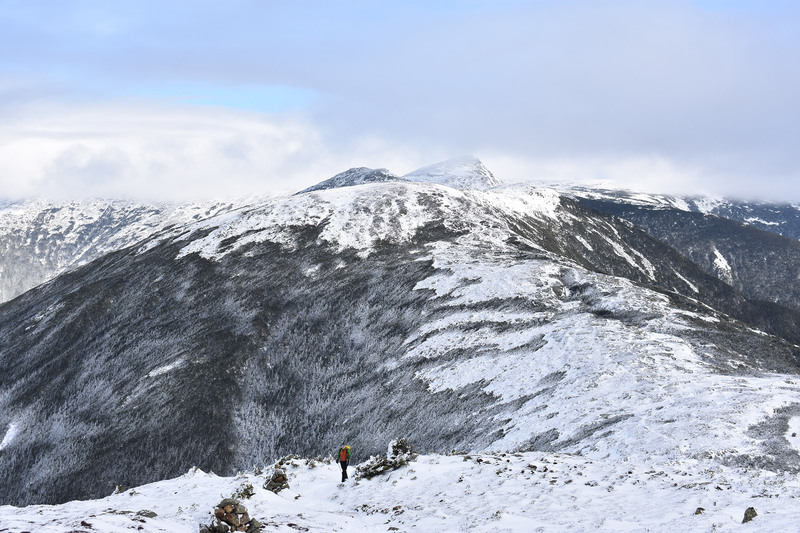 The notch’s southern slopes rise over 1,500 ft. to the summit, and to the left, the exposed rocks of Mount Webster’s cliffs are ice covered. 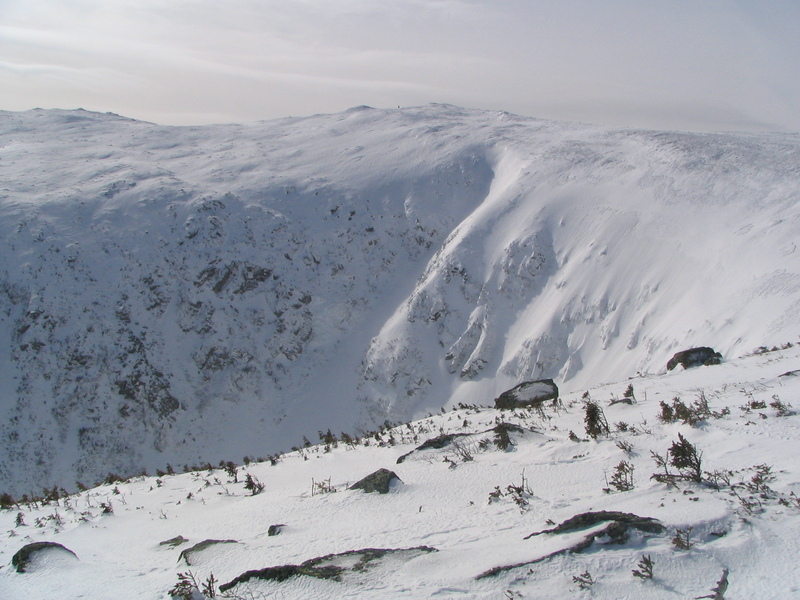 Together, these features create a striking contrast of dark rocks and pure white ice. As you make your way to the thousand-foot cliff rising from the valley floor, you wonder how you could have ascended so quickly. 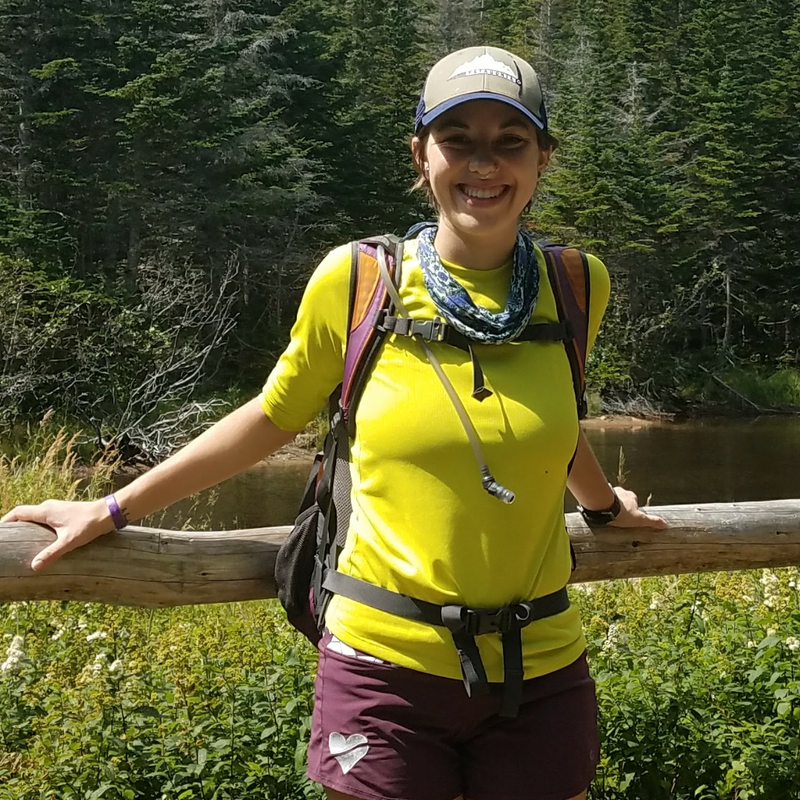 The trailhead begins at the train station just east of the AMC Highland Center at Crawford Notch. 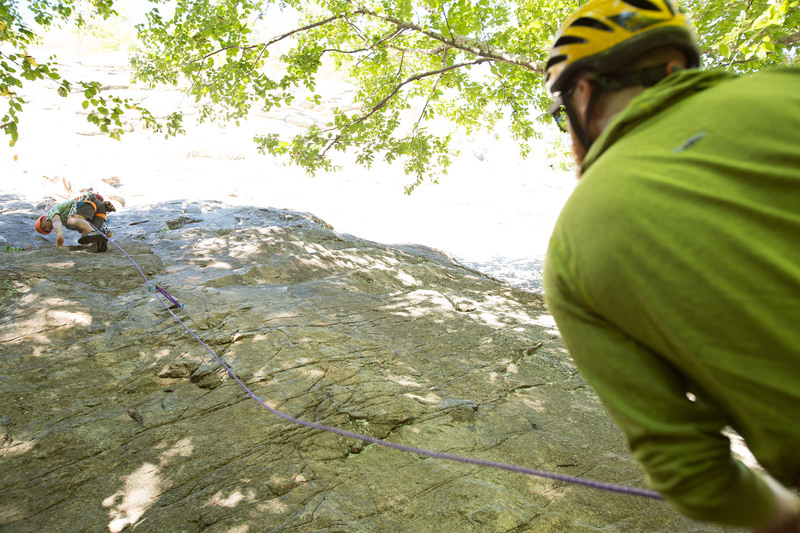 The Mount Willard Trail then climbs gradually over 1.6 miles to the cliff overlooking Route 302 and the Saco River. 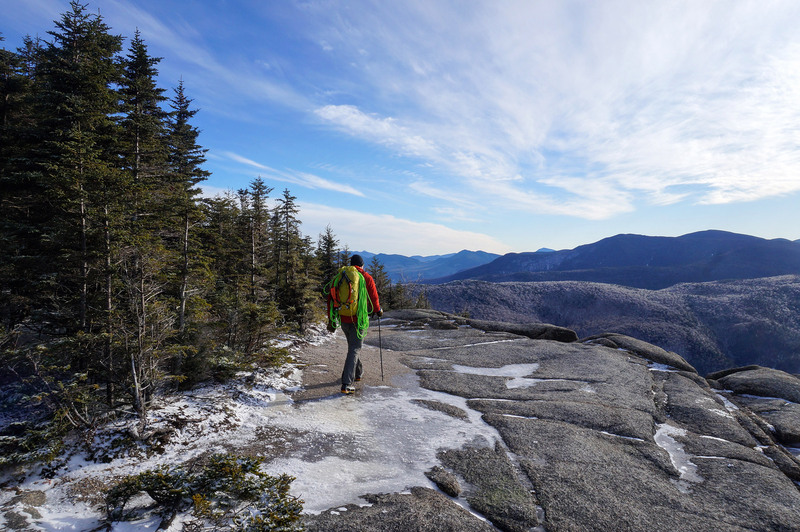 If you have never hiked in winter, Willard is the perfect starter peak. 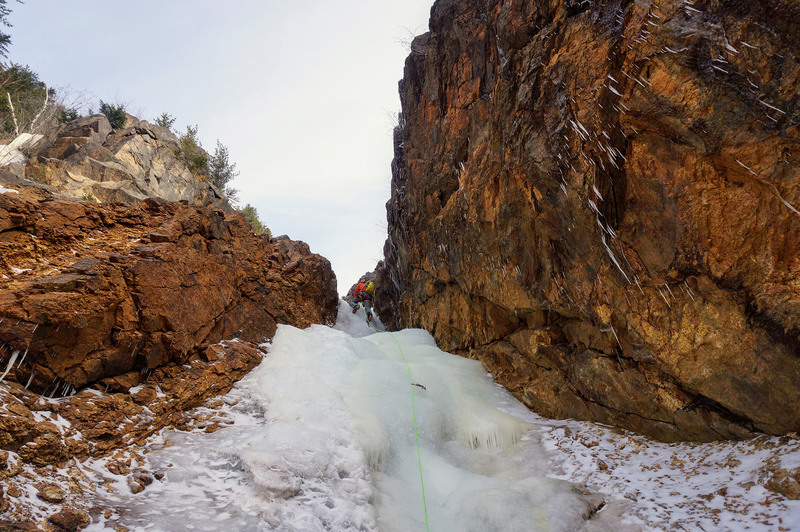 Particularly, the gradual incline keeps ice and snow manageable for all levels, without the need for crampons or other more serious gear. 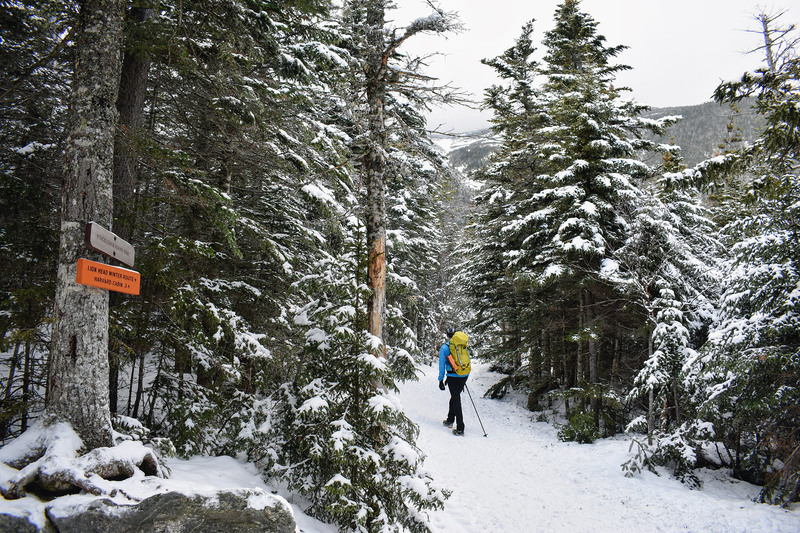 A winter hiking essential, Cannon is one of the few New Hampshire 4,000-footers that you can hike round-trip in under five miles. 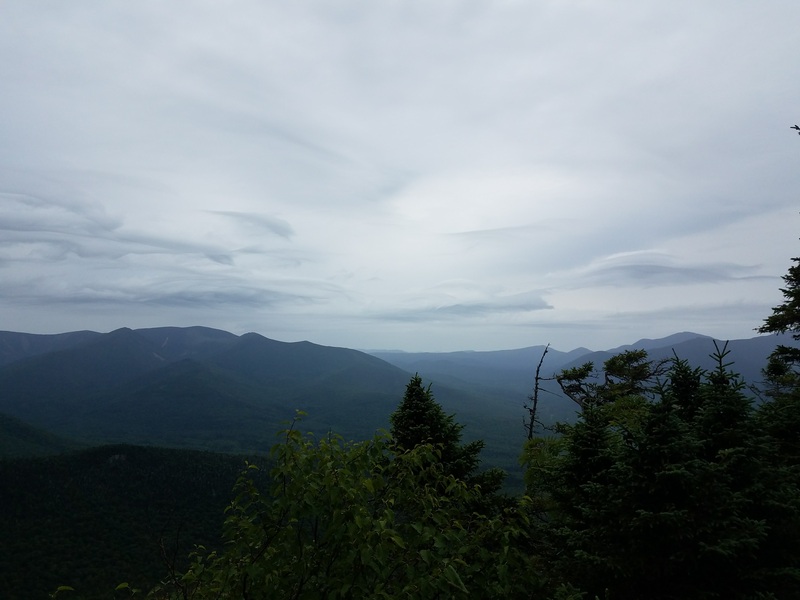 Located in Franconia Notch, it has incredible views of Mount Lafayette and Franconia Ridge to the east and North and South Kinsman to the south. 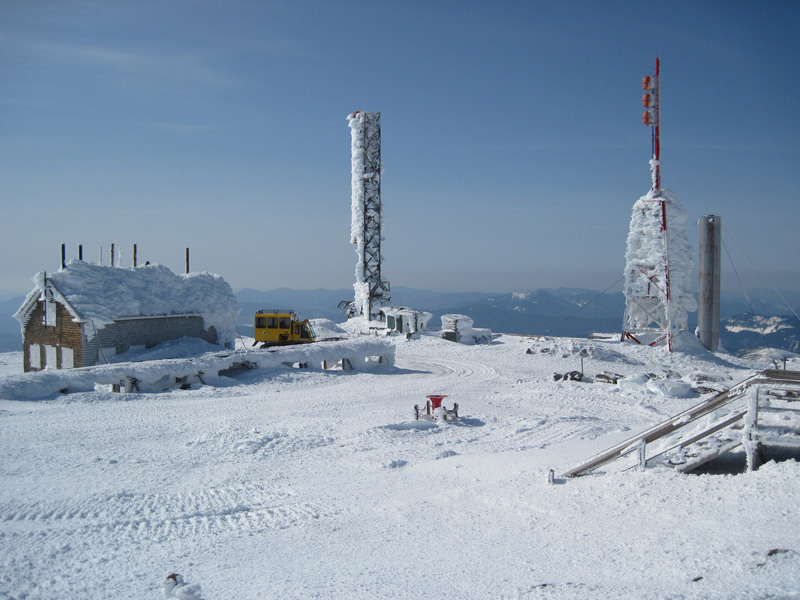 Here, the strong winds and elevation create multiple layers of ice that envelope the summit tower. 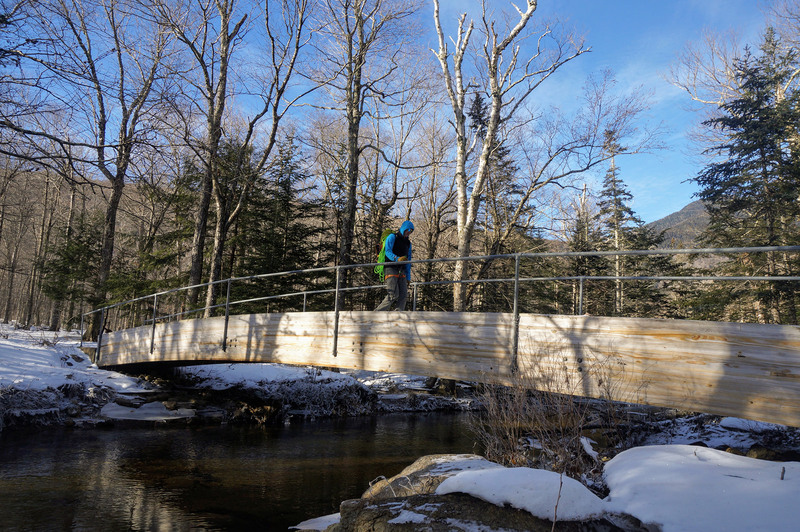 The 360-degree views show off the flat lands to the northwest, the white-tipped pines of the Kinsman Ridge Trail, and the steep valley of Franconia Notch. You’ll even get a glimpse of the ski lift up Cannon. 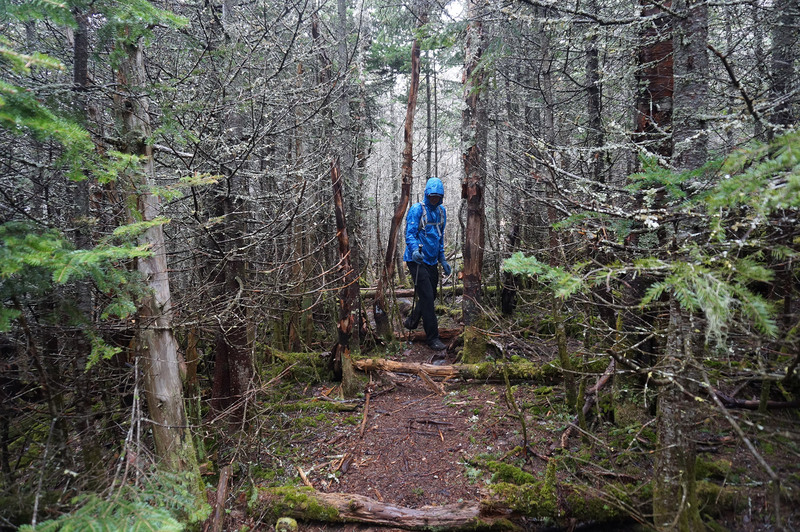 The Kinsman Ridge trail (a.k.a. 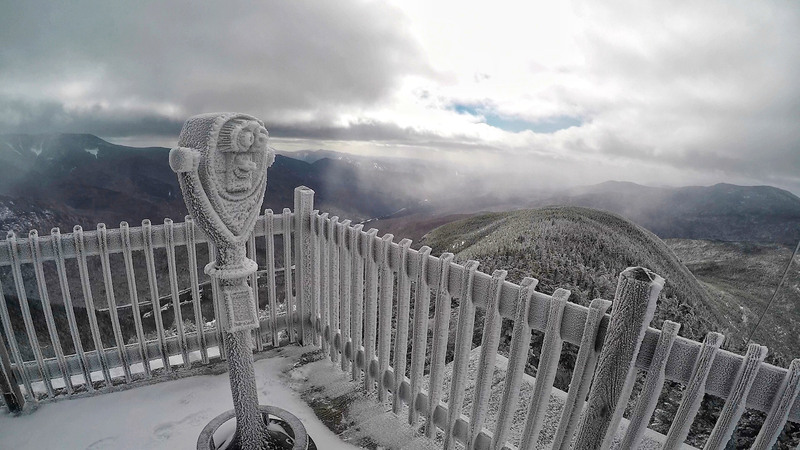 Hi-Cannon Trail) can be accessed from the Cannon Mountain Ski Area parking lot off I-93, and offers a very short four-mile round-trip hike to the summit. 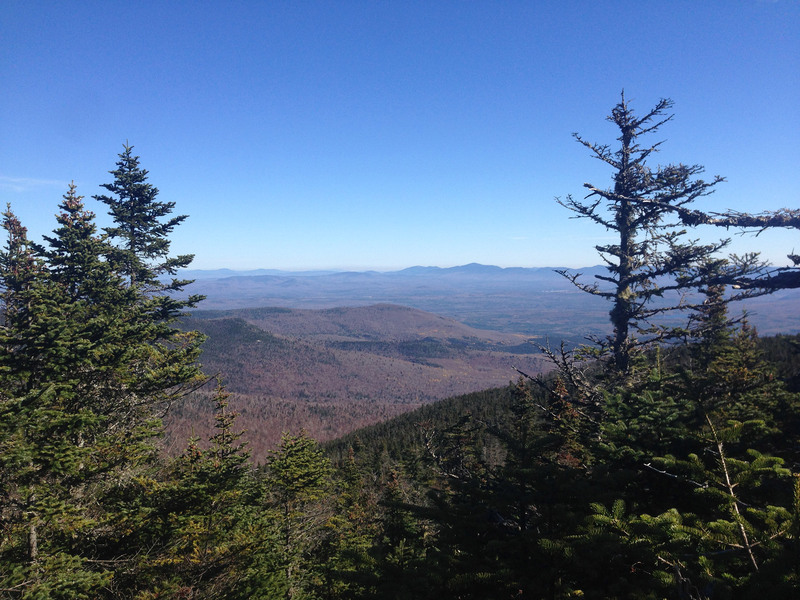 The trail is fairly steep and likely requires MICROspikes, but the views from the observation tower are worth it. As you ascend, the incline will get your heart pumping, and the breathtaking sights will keep it going long after you stop. 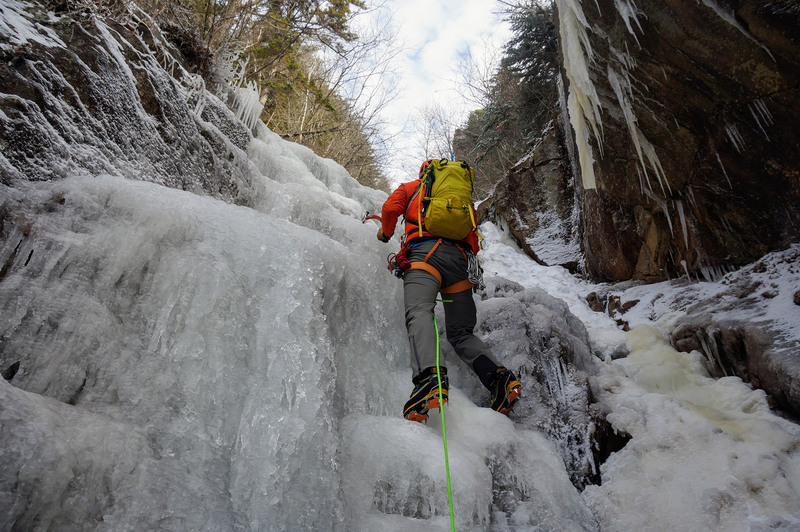 Also in Crawford Notch, Arethusa Falls involves a 2.6-mile round-trip hike to a stunning waterfall. 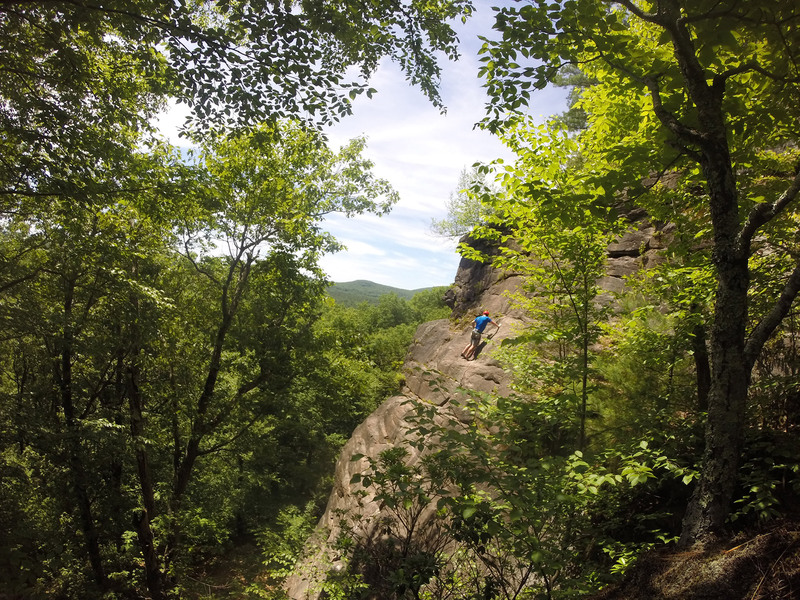 Over the 1.3 miles from the parking lot, you’ll climb roughly 800 feet along the Bemis Brook Trail, which parallels Bemis Brook. Here, you can always stop to listen to the falling waters, or take a look at the unique rock formations carved by the brook. And, at the end, there’s nothing like seeing a 140-foot ice wall looming over you. 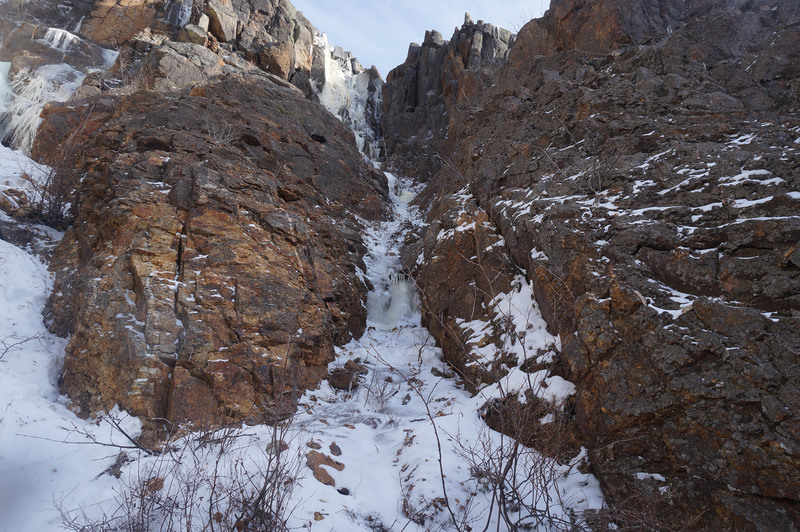 If you come at just the right time, you may be lucky enough to see water rushing down the middle, flanked by ice walls on either side. 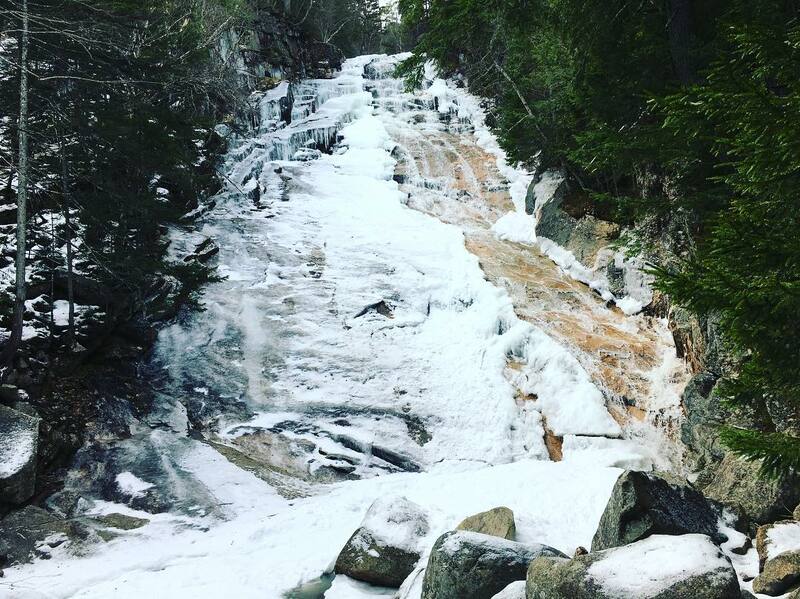 Ripley Falls is located just a couple miles up the notch from the trailhead for Arethusa Falls, with parking clearly marked along Route 302. 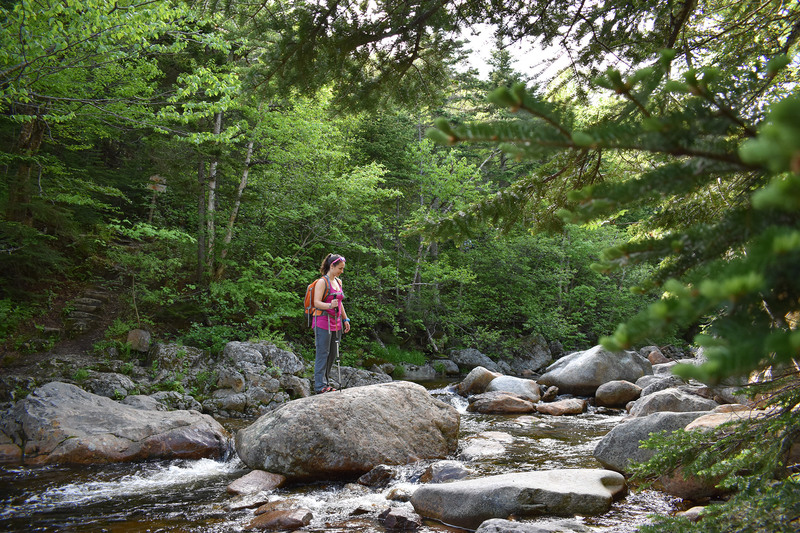 At only 1.2 miles round-trip, this short hike along the Ripley Falls Trail is great if you only have an hour or two to spare. 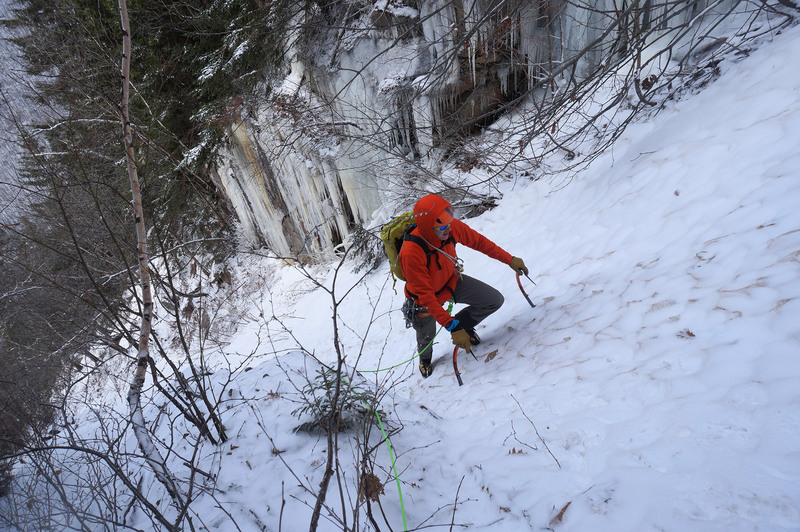 While Ripley Falls isn’t quite as steep as Arethusa Falls, it still creates a giant ice slide that can completely cover the entire cascade, leaving no rock exposed. 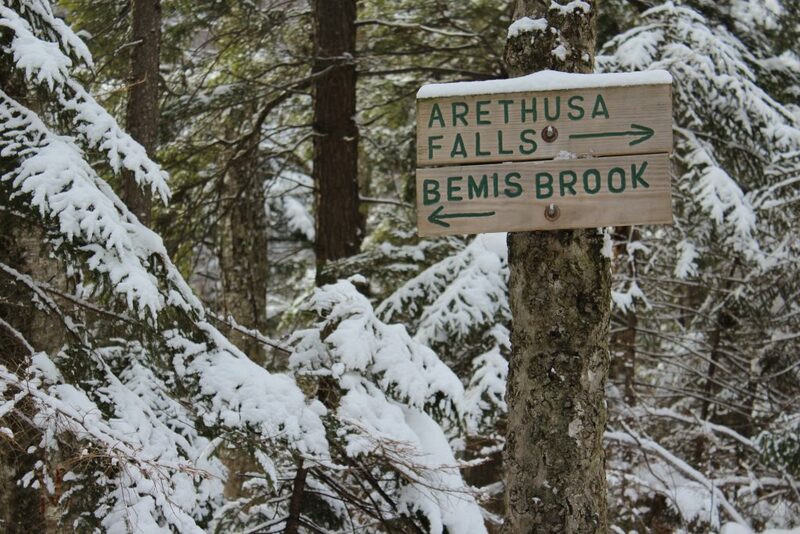 Consider combining both in a day via the Arethusa-Ripley Falls Trail. 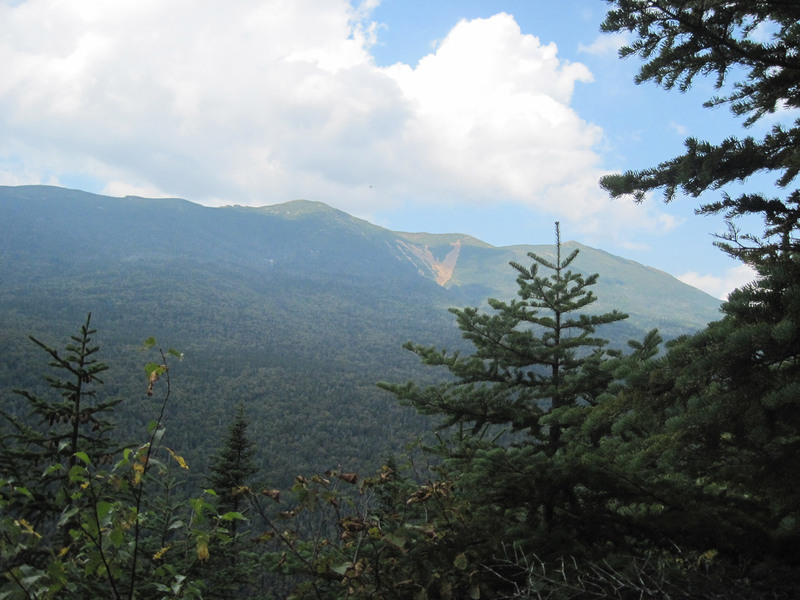 The Glen Boulder trailhead is located just south of Pinkham Notch on Route 16 at the Glen Ellis Parking Area. 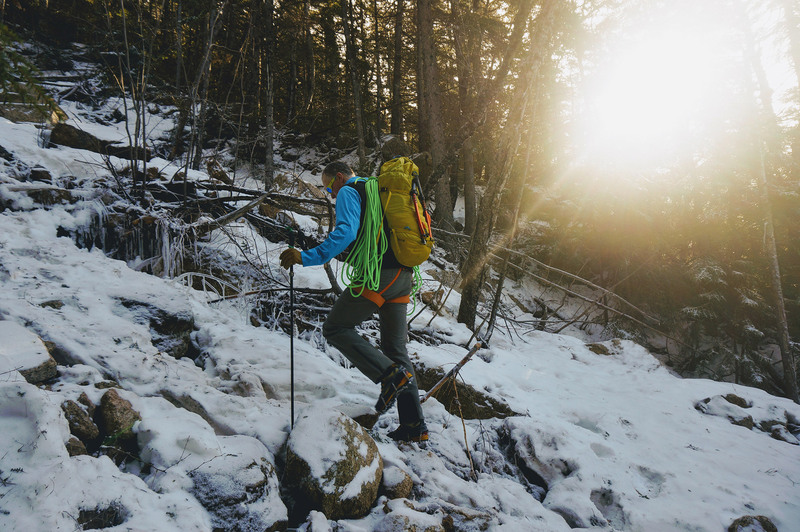 The trail up is a steep 3.6-mile round-trip hike—perfect for those wanting a more challenging workout. 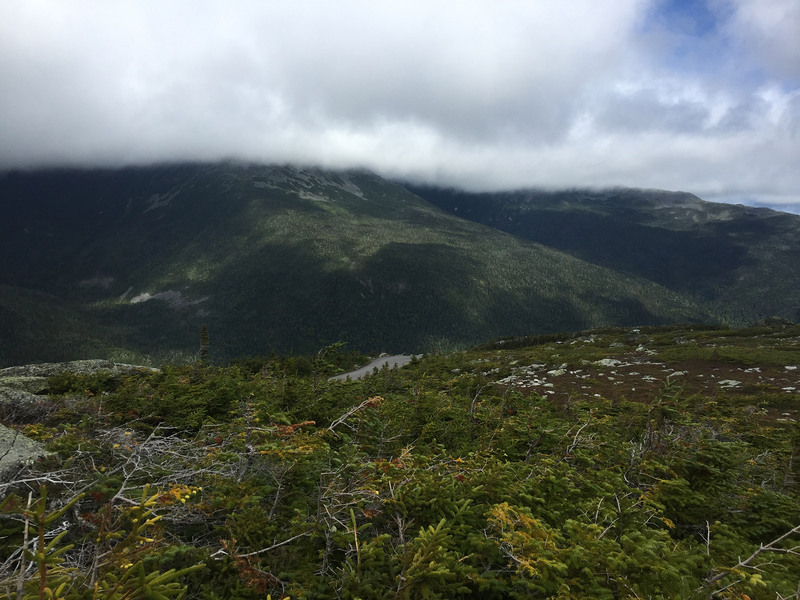 In less than 1.5 miles, you will the reach treeline, where you’ll get to see gorgeous views of Mount Washington and Pinkham Notch. 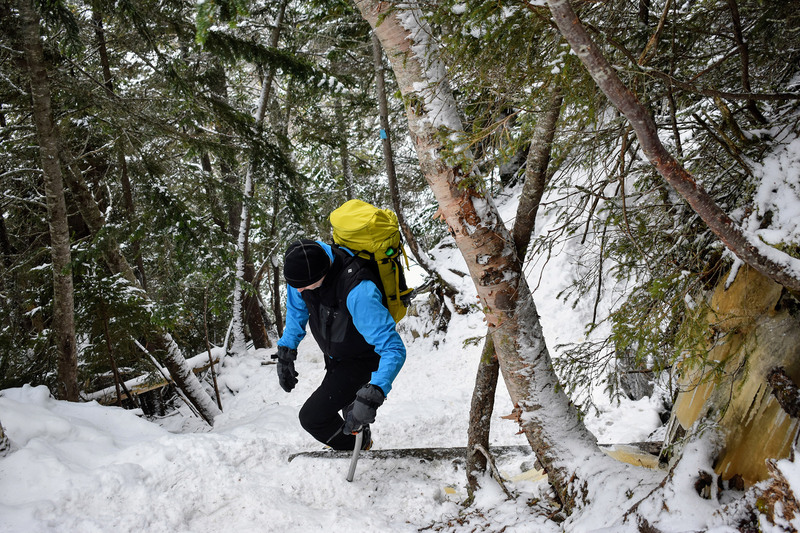 In winter, you may need snowshoes, and should bring MICROspikes for traction. 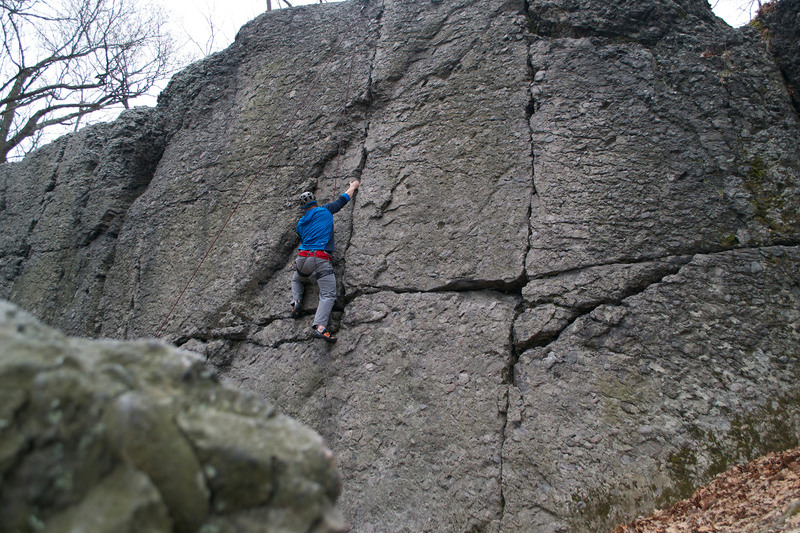 Glen Boulder appears to beg for a nudge off the mountainside. So, if you’re bold, stand on top of it. 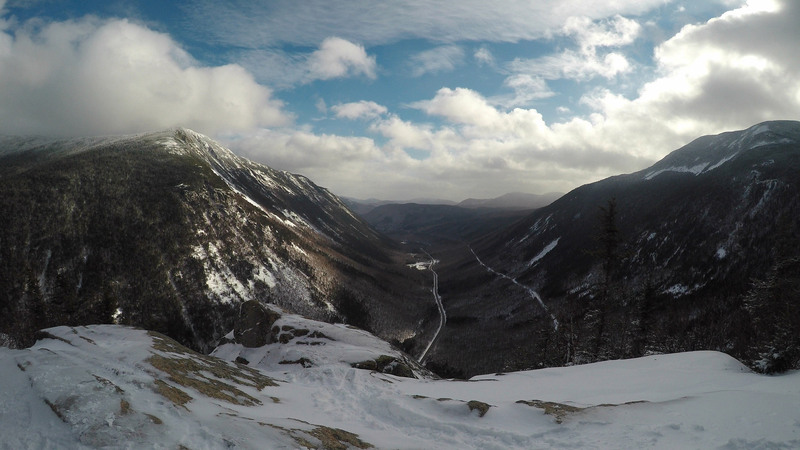 Going beyond Glen Boulder gives you even better views. 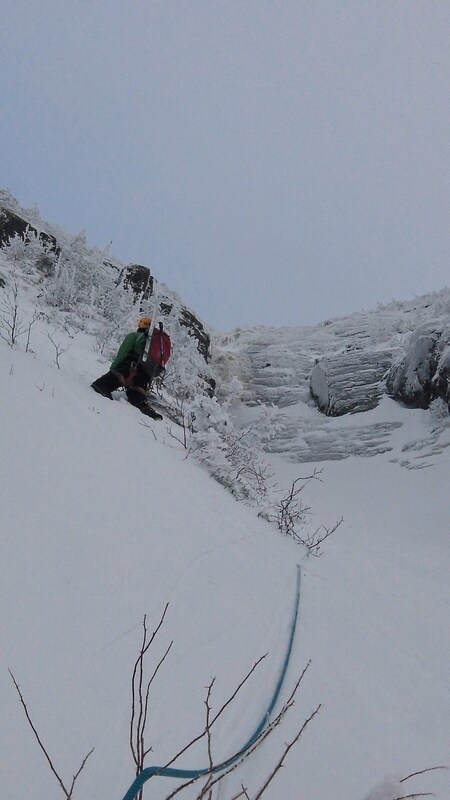 But, understand that snow drifts can create very deep powder on the ridge to Boott Spur. 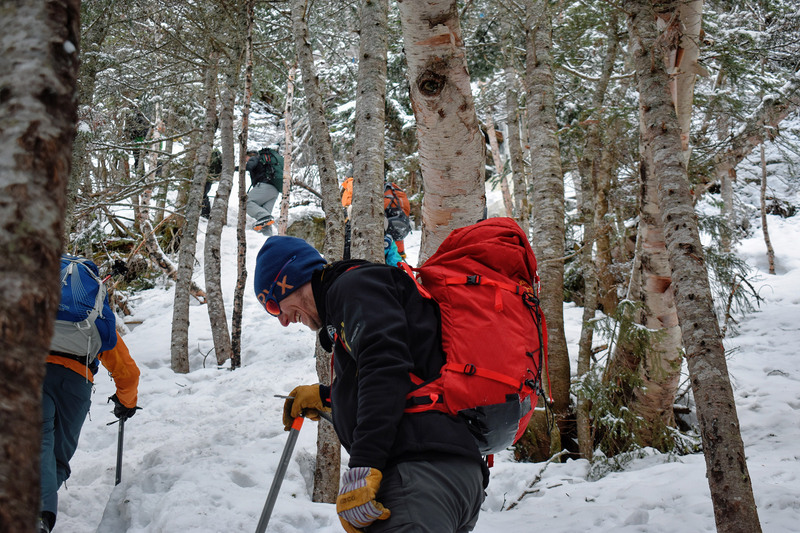 To prepare, snowshoes are recommended. For a bonus, check out Glen Ellis Falls at the trailhead. 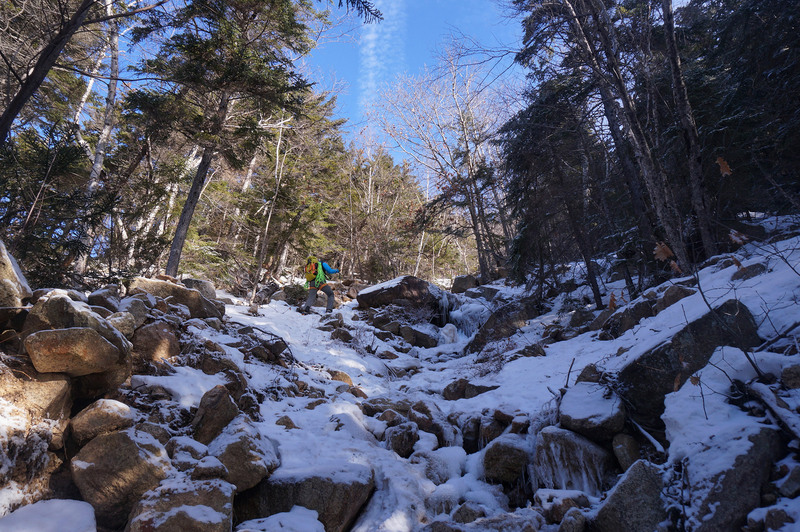 To get here, a short trail leading under Route 16 takes you a short distance to what may be New Hampshire’s best waterfall. Winter is finally upon us, which means it’s time to dust off your skis or snowboard and head for the glorious, snow-covered hills. For the drinkers among us, it also means it’s time to reacquaint ourselves with some of New England’s greatest watering holes. As you plan your next ski trip, don’t forget to take into account the après scene at whichever resort you’re considering, and spend a little time thinking about the perfect bar for you. 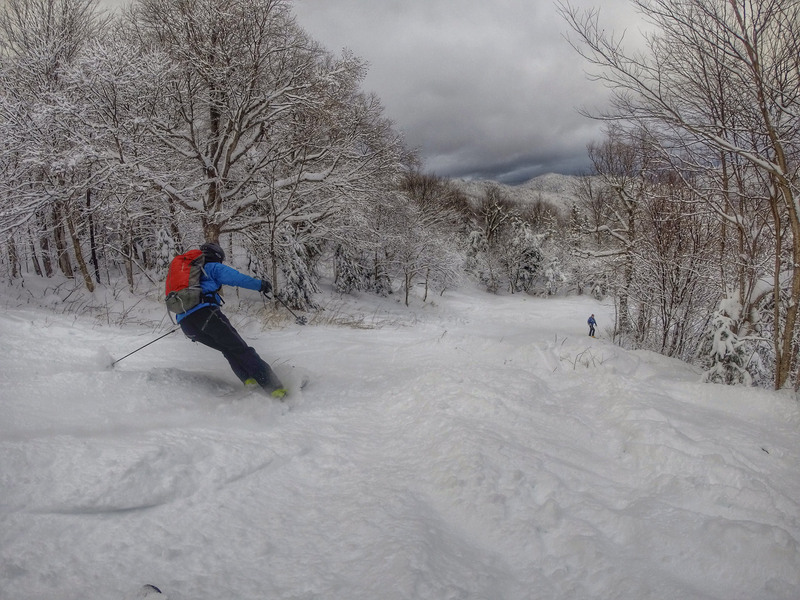 While the trails at Mad River Glen are available only to skiers, General Stark’s Pub welcomes boarders as well. 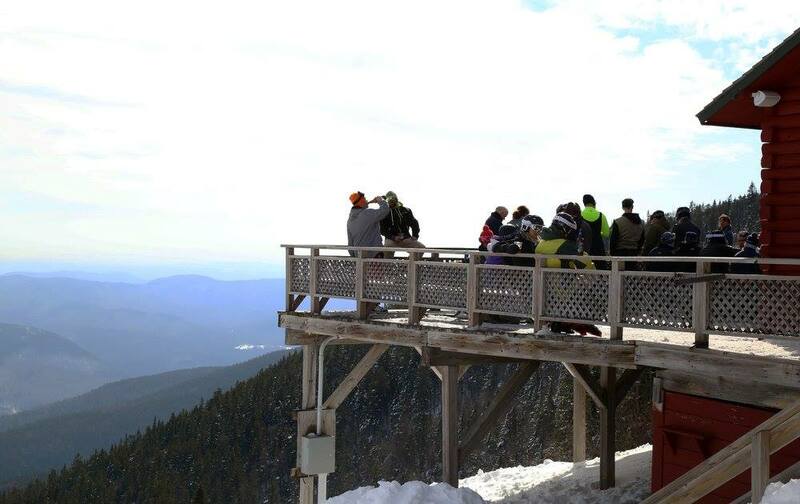 Boasting some of Vermont’s best brews on tap, a view of the iconic single chair, and a rad old-school atmosphere that other resorts would die for, General Stark’s is a two-plank paradise guaranteed to convince snowboarders that “two is better than one” applies to more than just drinks. You’re probably thinking to yourself, “Uh, isn’t every ski bar good for a midday drink?” And, the answer is “yes.” But, Onset Pub at Crotched teamed up with Henniker Brewing a few seasons ago to create their delicious signature IPA called “Rocket Fuel,” named after the mountain’s high-speed lift, the Rocket. Thus, this drink makes Onset the best bar for a lunchtime refuel. Just be careful, though. This super-smooth brew is 7% ABV and has maybe resulted in skiers calling it a day a little earlier than planned. 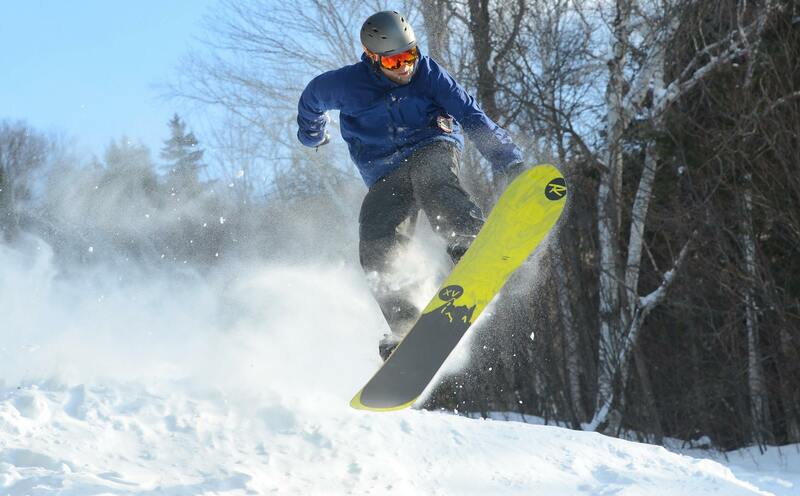 I’ve often heard that Wachusett Mountain is one of the country’s most profitable ski areas. It sounds absurd at first, but then, you realize how conveniently located it is—30 minutes from Worcester, an hour from Boston, and just over an hour from Providence—and it all makes sense. 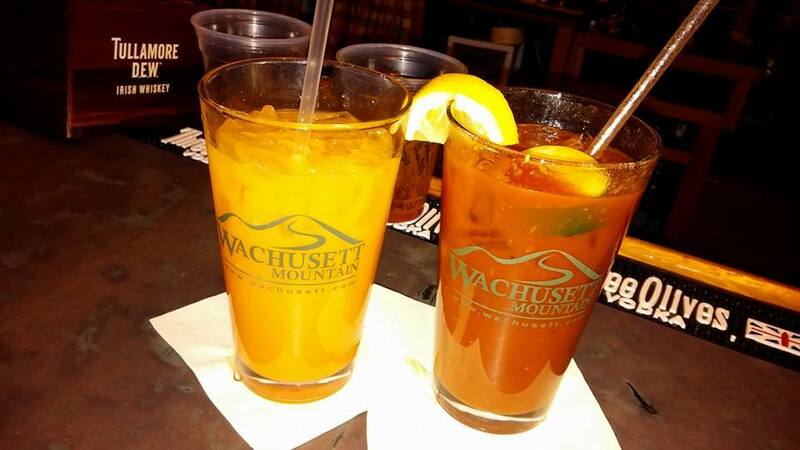 However, Wachusett’s proximity also means that it attracts a large number of “I ski once or twice a year and don’t actually own ski pants” skiers. If you don’t notice them on the slopes, they’ll definitely catch your attention when you head into the bar for some après libations. They’re the ones rocking snow-soaked denim and looking miserable. I mean, does this one even need an explanation? If you’re not convinced “Schwendi Hutte” is fun to say, you’re probably pronouncing it incorrectly. Or, perhaps, you just need a second round. 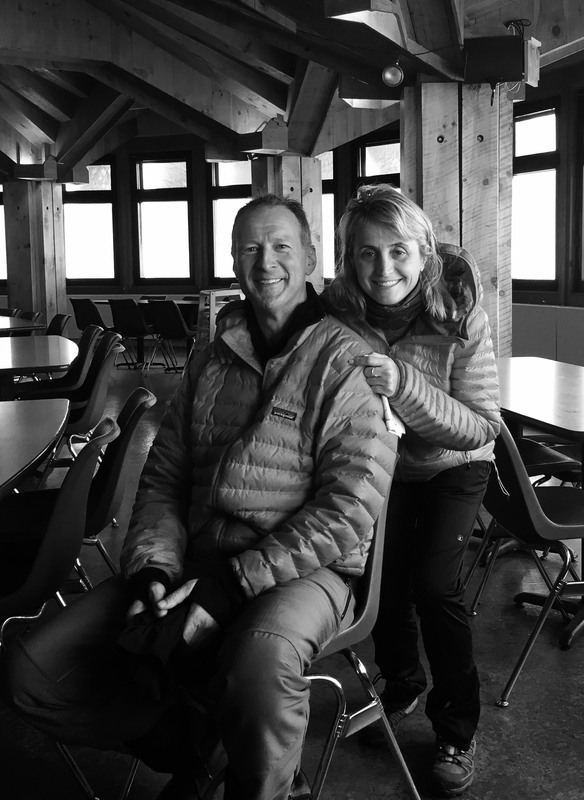 Whether it’s the roaring fire, the stoked patrons, or its closeness to the gondola (and the accompanying lure of “just one more run!”), there’s something about the Bunyan Room in Loon Mountain’s Base Lodge that begs you to keep your boots on. 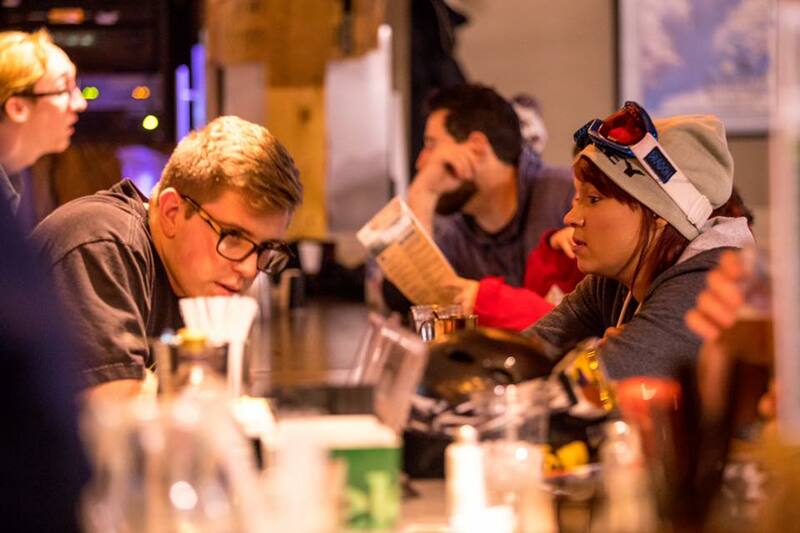 Of course, it could also be that the 11 a.m. opening time has you seated at the bar well before après has begun, and there’s just no way you can call it a day so soon. 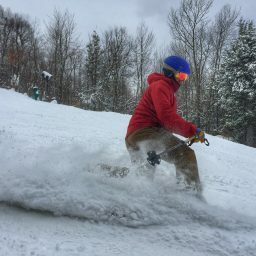 In addition to having some of the best spring skiing conditions in New Hampshire, Wildcat is also one of my favorite places to après in the late season. While the deck itself seems small and quickly gets crowded, everyone there is undoubtedly happy—the aforementioned baller conditions may play a role—and the air is simply abuzz with stoke. From the deck, you can also get a great view of the slopes and prime seating for watching the action without getting wet on pond skim day. 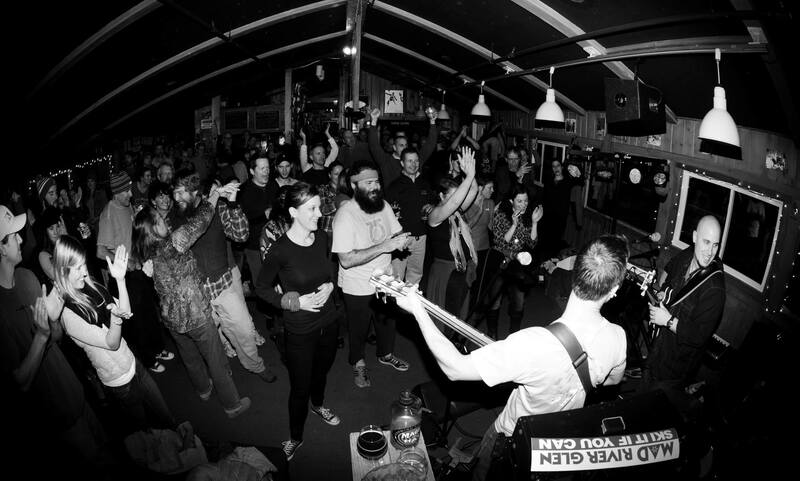 Just because Vermont’s Smugglers’ Notch has earned a reputation for being one of the Northeast’s most family-friendly resorts doesn’t mean it isn’t equipped with an awesome bar. 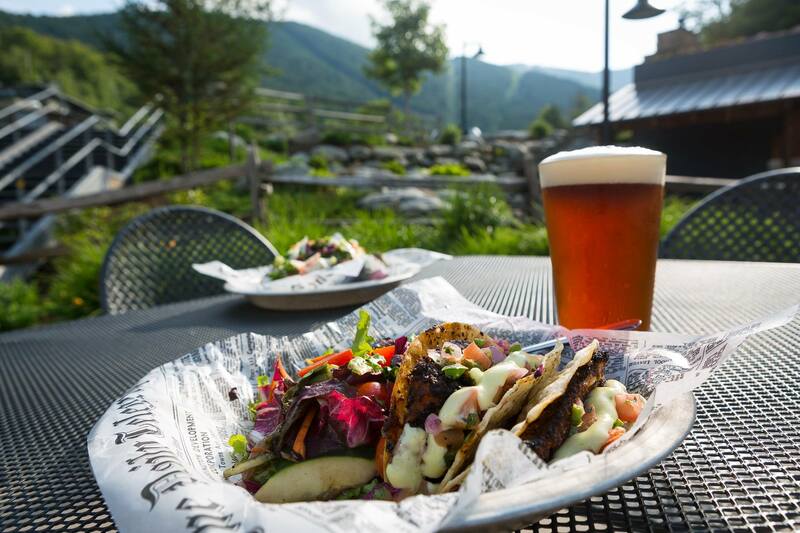 The Black Bear Tavern, located in the mountain’s base lodge, offers a great selection of strong local Vermont beers. 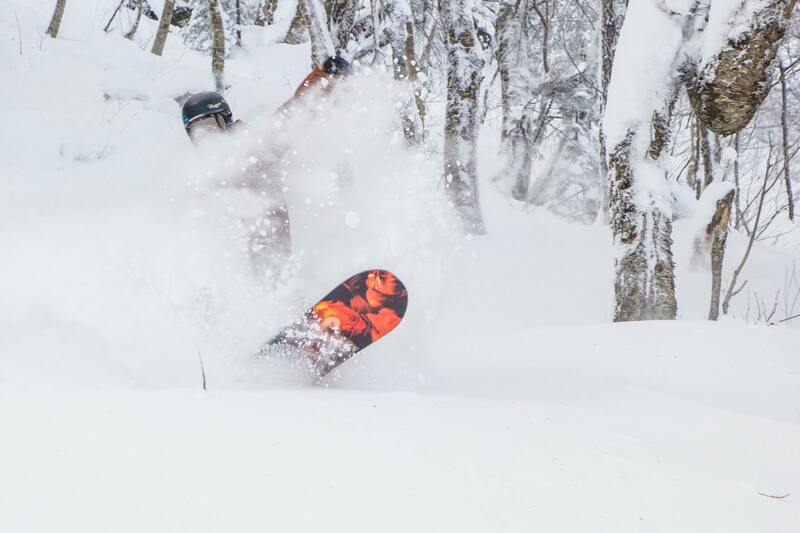 It’s perfect for drowning your sorrows after getting smoked by the kiddos on the region’s only triple black diamond run, Black Hole. 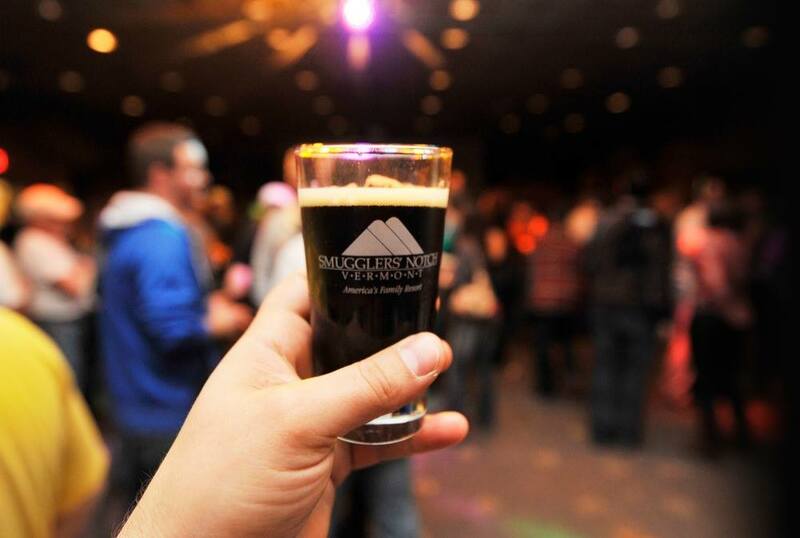 Vermont is renowned for many things: rolling green hills, Ben & Jerry’s ice cream, and, most importantly, micro brews. 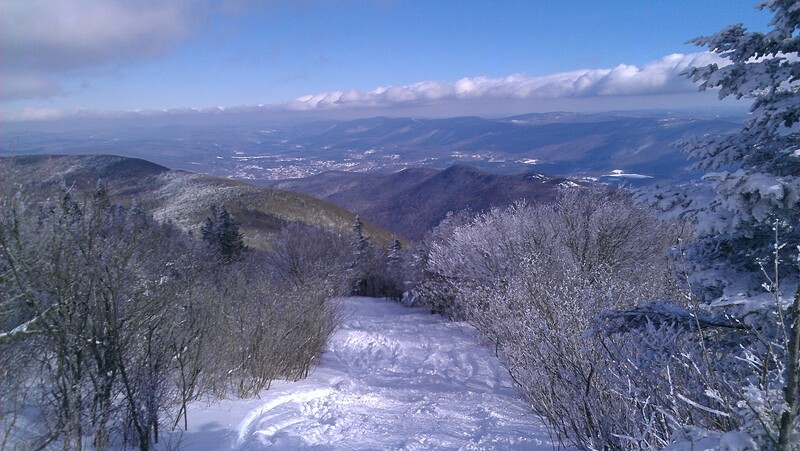 Located in the heart of beer country are Sugarbush Resort and Castlerock Pub. 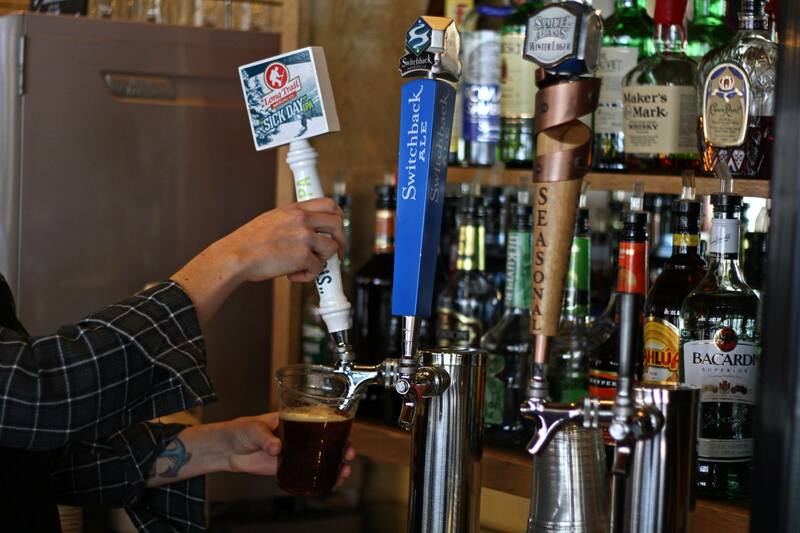 While Sugarbush’s Castlerock Peak delivers some of the resort’s best terrain, its namesake pub features some of Vermont’s best and most-sought-after brews, including iconic ales from producers like the Alchemist, Lawson’s, and Hill Farmstead. You can easily spend more time at the bar than on the hill, and more money at the bar than at the ticket window. 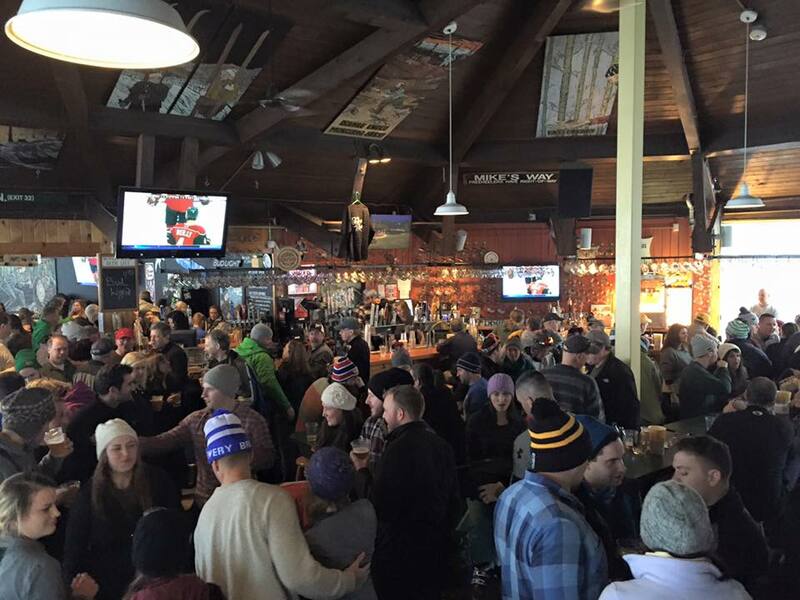 And, now, over to you, fellow ski beer enthusiasts: Which New England ski resort bar is your favorite and why? Tell us about it in the comments, so we can head there next weekend! There are 157 names on the wall, and we stood there, reading each one in an uneasy silence. 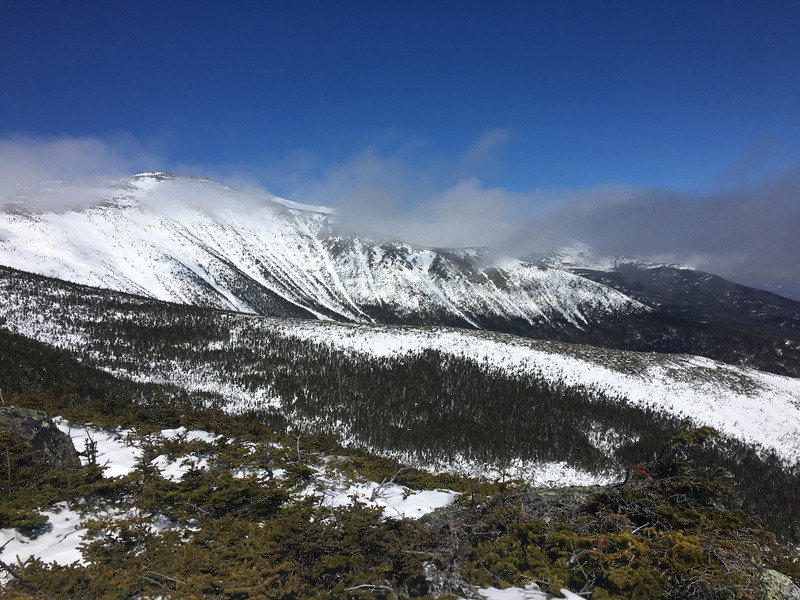 This mountain—the one we were currently standing atop—has killed more than its fair share of hikers, climbers, and skiers. The Sherman Adams Visitor Center’s double doors crashed open, blowing in near-hurricane-force winds and a bone-chilling cold. The man who walked in had a balaclava and ski goggles completely masking his face. 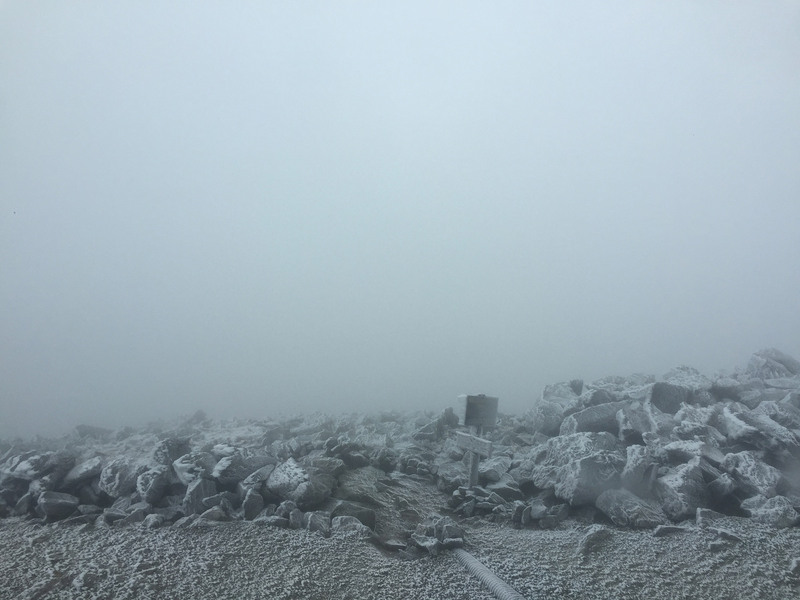 The weather had turned overnight from cold-but-manageable to now dangerous, idling at around 25 degrees Fahrenheit, with wind speeds hitting 74 MPH. For a moment, everything seemed to stop, as this mysterious man strolled across the room with the weather appearing to have no effect on him. The rime ice that had been engineered onto the masked man’s shell jacket immediately started melting and dropping off behind him as he made his way to a bench. 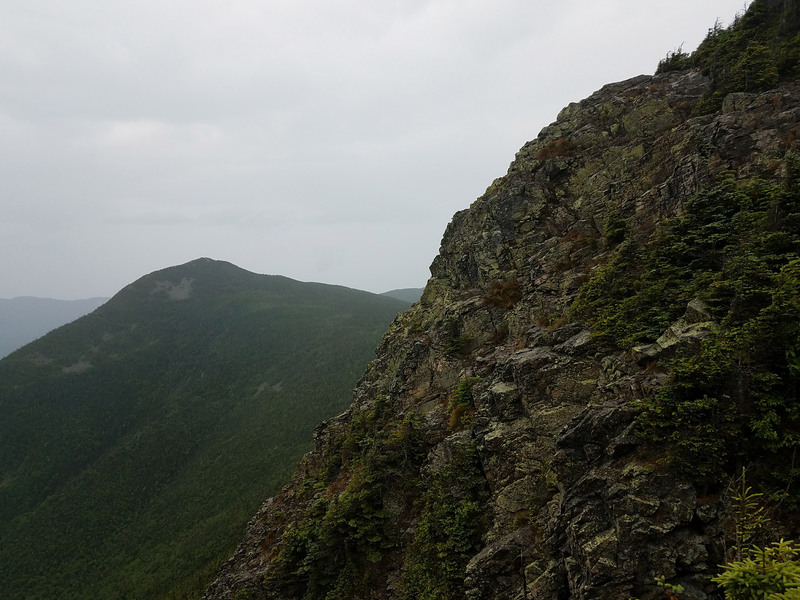 There weren’t any hikers or tourists up here today—the weather had turned them all away. So, I assumed he was with the state park. But, that didn’t make sense. 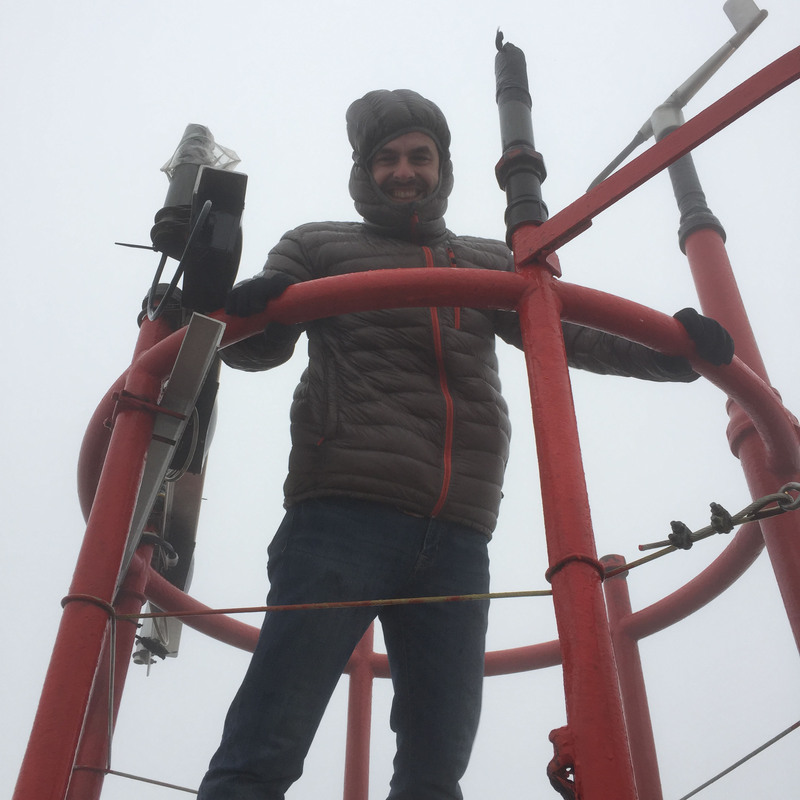 I had become quite familiar with the team in the observatory after spending the night in their quarters, having dinner with them, and chatting it up about the weather, gear, Game of Thrones, and The Pats’ upcoming season. 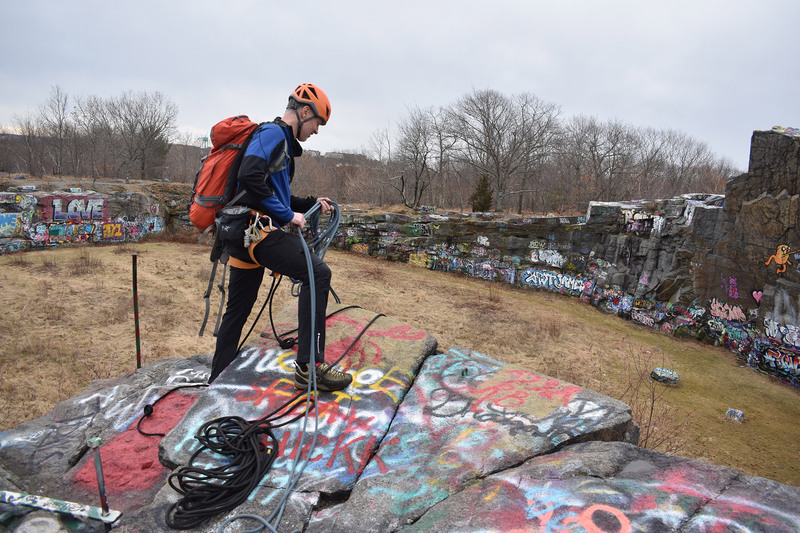 I didn’t recognize this guy, and the dayglow orange shell, trekking poles, and Black Diamond gloves were clearly not state-issued. Sharon hustled over to him. “Hi…I’m Sharon,” she said in a hesitant tone that I hadn’t heard even a hint of since I’d met her the day before. As a Coast Guard commander prior to becoming the president of the Observatory, doubt wasn’t a part of her make-up. 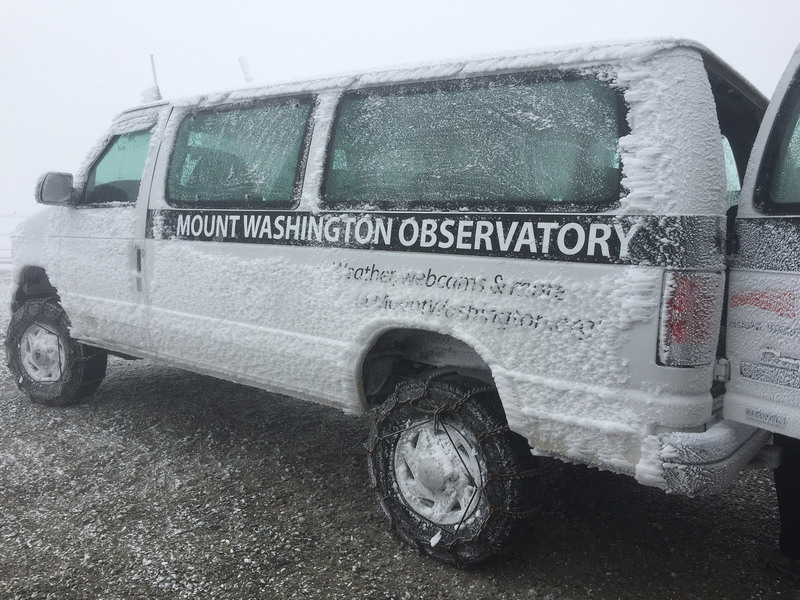 Earlier in the morning, she had been warning us that our descent down the Auto Road would be delayed, as they put chains on the Observatory van’s tires. 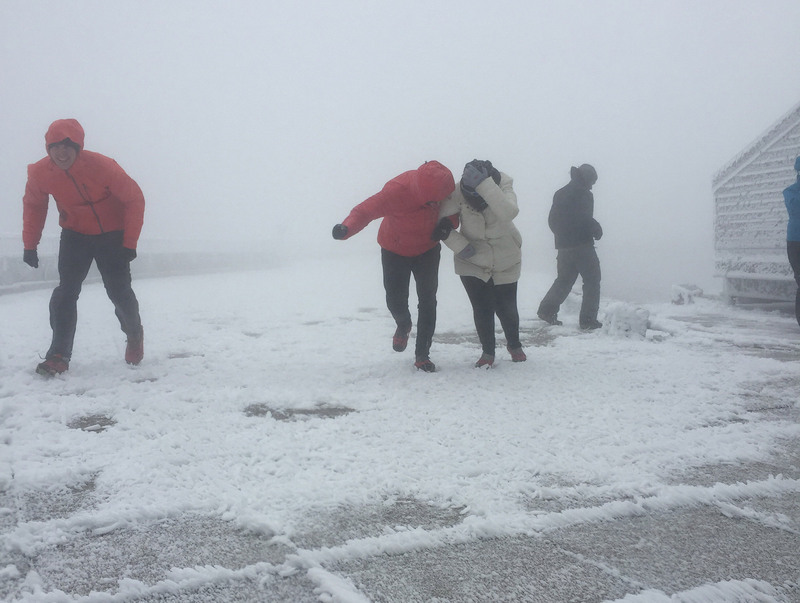 And, there was absolutely no way she could allow our two store staff members, Amy and Eric, to hike back down the mountain. The sight of this man calmly strolling in from the churning weather threw off her game a bit. “Are you an Observatory member?” she asked incredulously. “Yeah, I think my name is up on the wall, over there somewhere,” he said and casually strode over to a different wall made of blue name plates lining the stairs that went down to the museum for the Observatory’s top donors and members. His nonchalant attitude toward it added a new layer of curiosity. 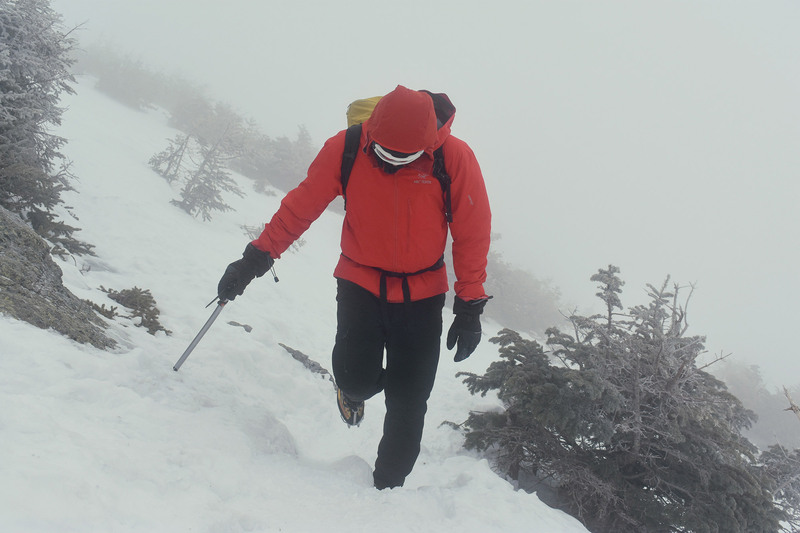 I turned and looked in the direction of his outstretched trekking pole. “Mike Matty” read the white lettering on the plate. “We have the folks from EMS with us for an overnight. This is Tom,” she said as she introduced my boss. “I’m surprised you made the trek, given the weather,” Tom commented, clearly still feeling the shock of this stranger ambling out of the roiling weather as if he were coming back from a walk in the park. I chuckled to myself, as I made my way over to windows in the rotunda. 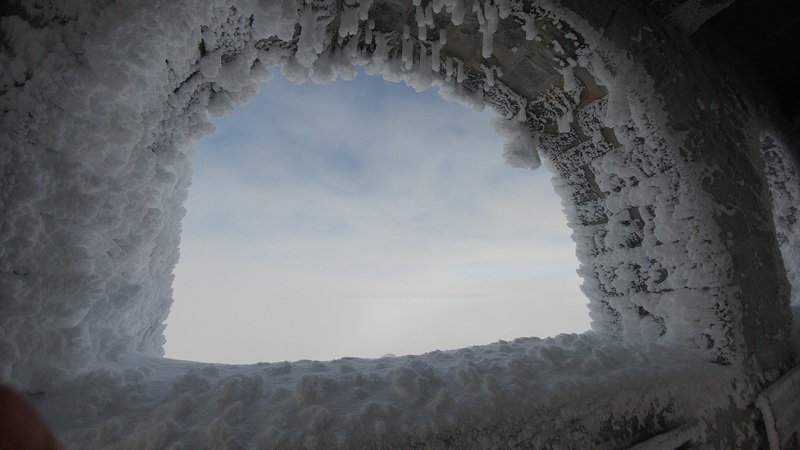 Outside, the rime ice flowered and grew seemingly out of nowhere, carried by the dense cloud enveloping the summit. I felt like I had woken up on a different planet. Not even 18 hours ago, our ascent up the Auto Road had been sunny, calm, and beautiful. 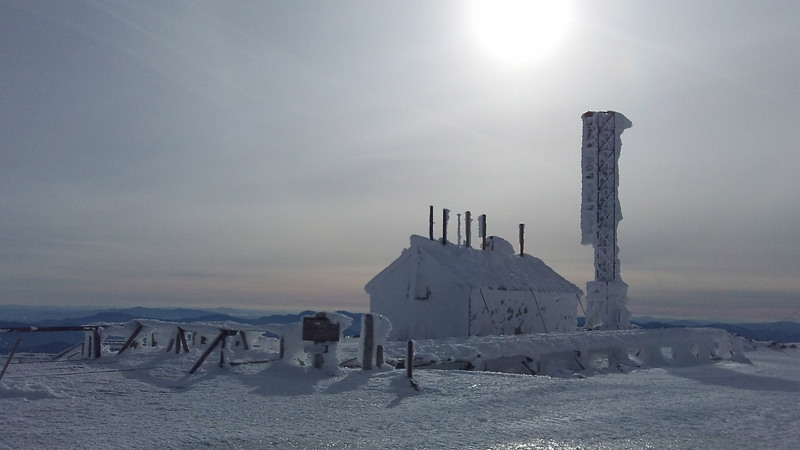 “The home of the world’s worst weather” is a catchphrase Mount Washington has certainly earned. 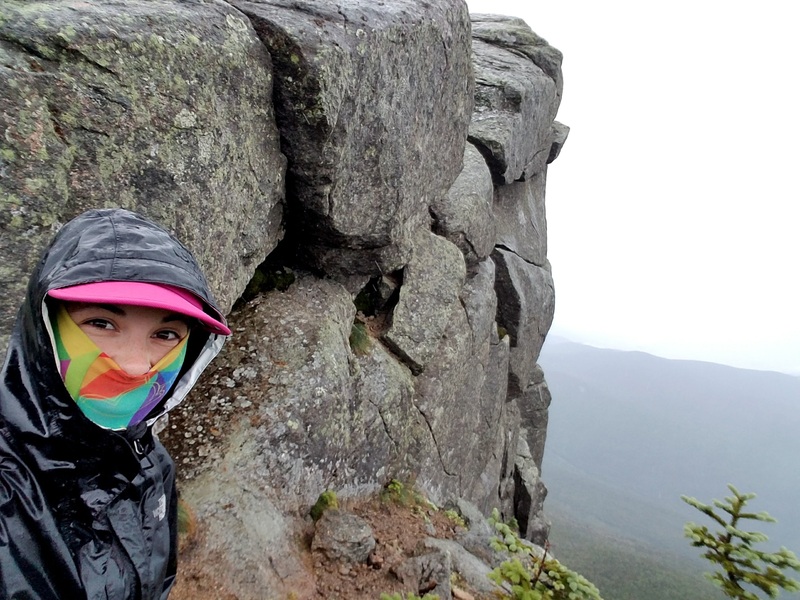 The hike up itself isn’t one the most dangerous or difficult. Rather, this 6,288-foot peak’s volatile conditions are the reason for those 157 names posted in the Adams Center. The gusts whipping up over the western corner of the deck made it feel like you were stuck in the world’s worst washing machine. A 10-minute, 30-foot trek from the door to the corner and back had exhausted me. 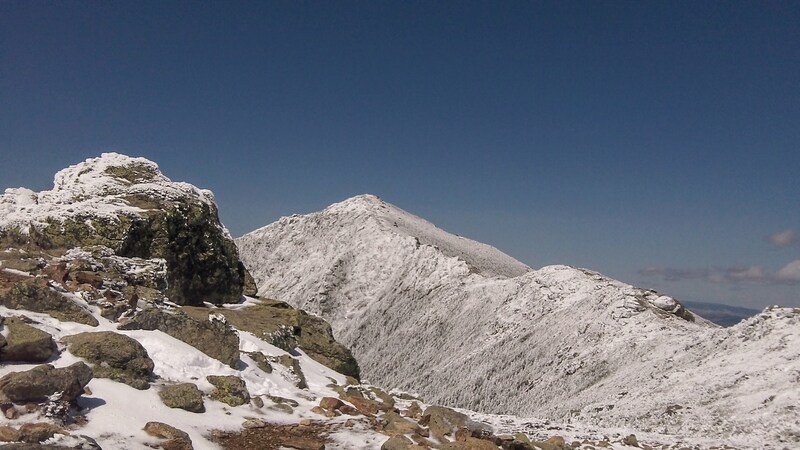 Mount Washington is in a unique position. The highest point east of the Mississippi, it sits directly at the epicenter of a topographical funnel that compresses and accelerates the wind to such an extreme that the 231 MPH wind speed recorded at the summit in 1934 still stands today as the fastest-ever observed by man. It’s even said that the sheer force of the wind tore apart the measuring instruments. Only once was this record ever beaten, at an unmanned weather station in Australia in 1996. “He’s climbed the seven peaks!” I thought I heard Amy squeal behind me to Eric. She excitedly handed her phone over for a picture with Mike. Amy’s sudden exuberance seemed odd, but I was more focused on the portentous conditions threatening to trap us on the summit. 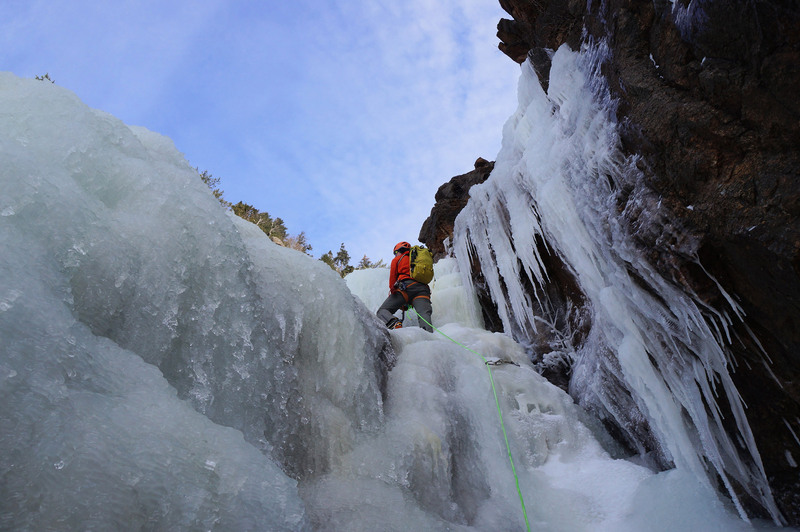 As Eric handed the camera back to her, Mike started reassembling his gear for the descent. I thought about our earlier excursion out on the deck of the observatory. 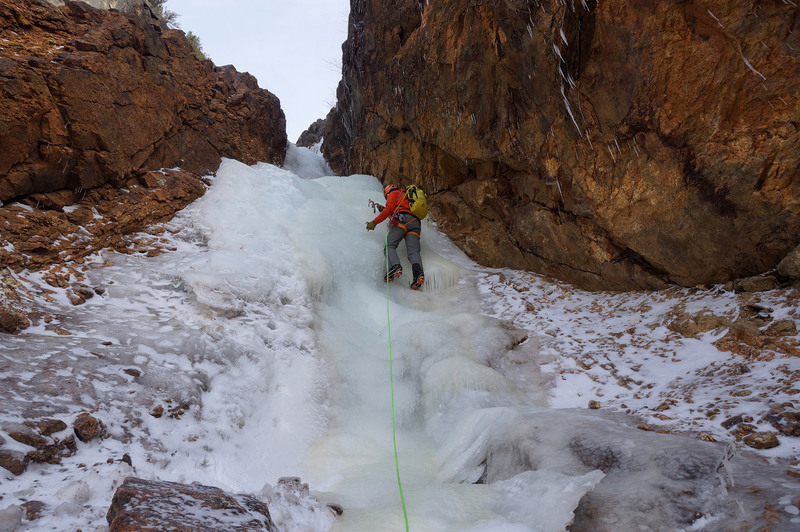 We had to gear up in MICROspikes to gain some semblance of traction, leaning into frigid, hurricane-force winds. The gusts whipping up over the western corner of the deck made it feel like you were stuck in the world’s worst washing machine. A 10-minute, 30-foot trek from the door to the corner and back had exhausted me. 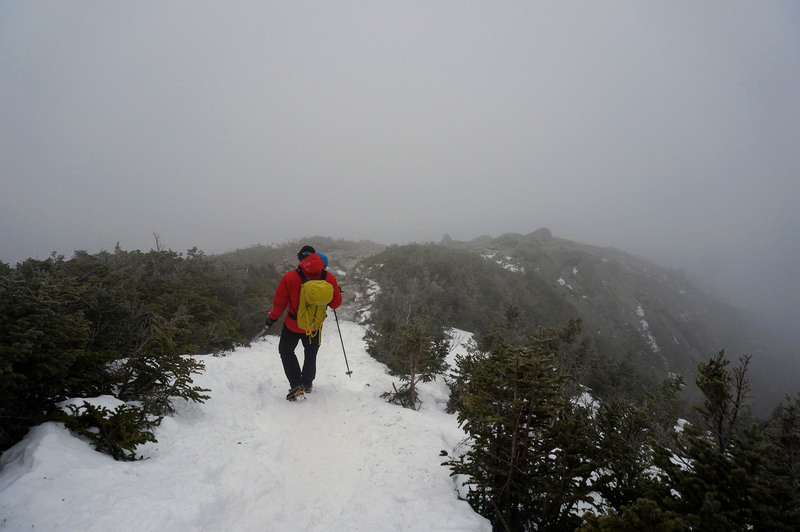 This guy had hiked all the way up in that, and was about to hike all the way back down, too. I shuddered. Mike adjusted his goggles before punching the exit door depressor. A 15-minute break had been enough to rest, dry off, and get warm before he plunged back into weather that would make the average person cower and yearn for their Uggs and a cozy Duraflame fire. 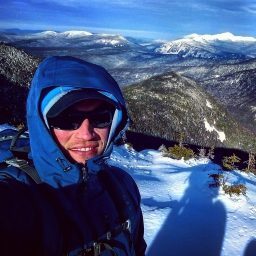 He was training for bigger things, searching for the conditions to match his more sizable feats, and found them on this windy New Hampshire peak more than 4.5 times smaller than Everest. Sitting back at my desk on Monday, I couldn’t get the mysterious encounter with Mike out of my head. It was odd. Who was this guy? 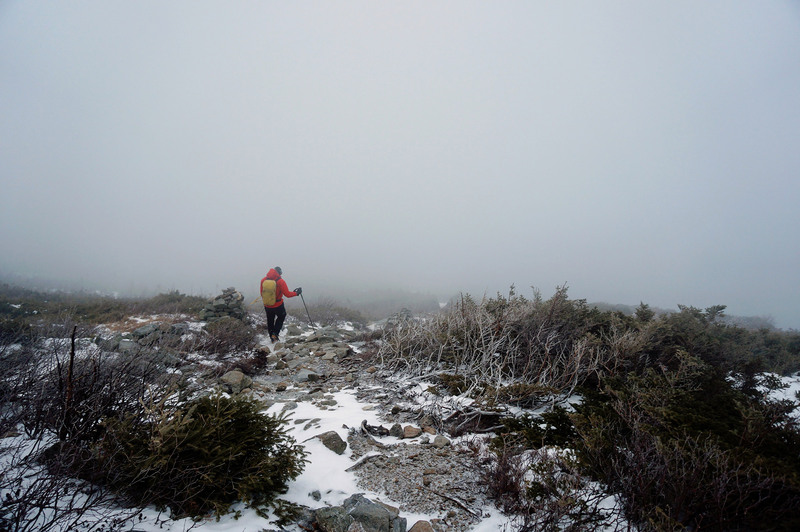 What did he mean when he said that the weather was the reason he hiked up? So, I did what any red-blooded, digitally inclined American would do. 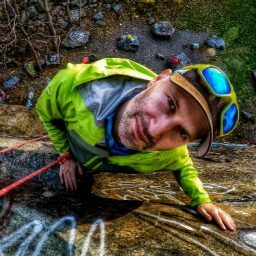 To my slack-jawed, wide-eyed amazement, the Google results showed that Mike had indeed mastered the seven summits: Mount Kilimanjaro in Africa, Mount Vinson in Antarctica, Kosciuszko in Australia, Elbrus in Europe, Denali in North America, Aconcagua in South America, and, the crown jewel of them all, Everest. 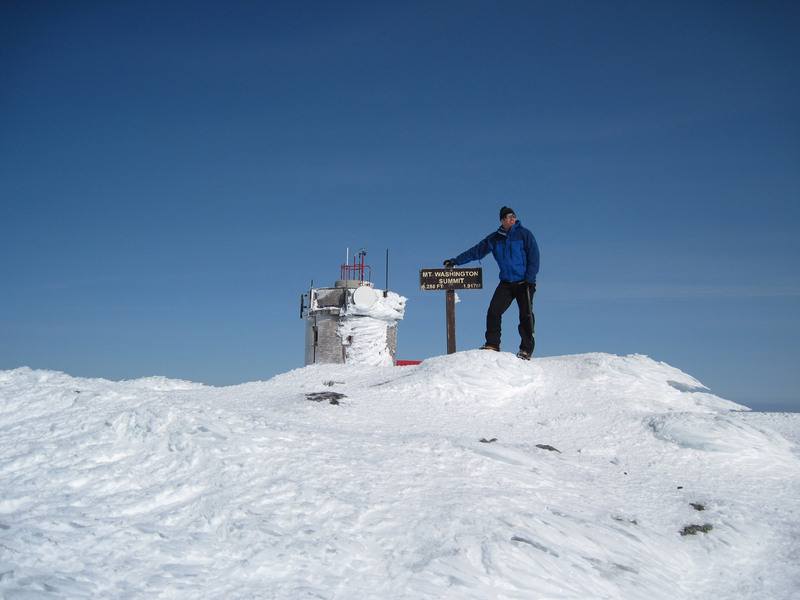 To Mike, the conditions on Mount Washington that day, September 1, were ideal. 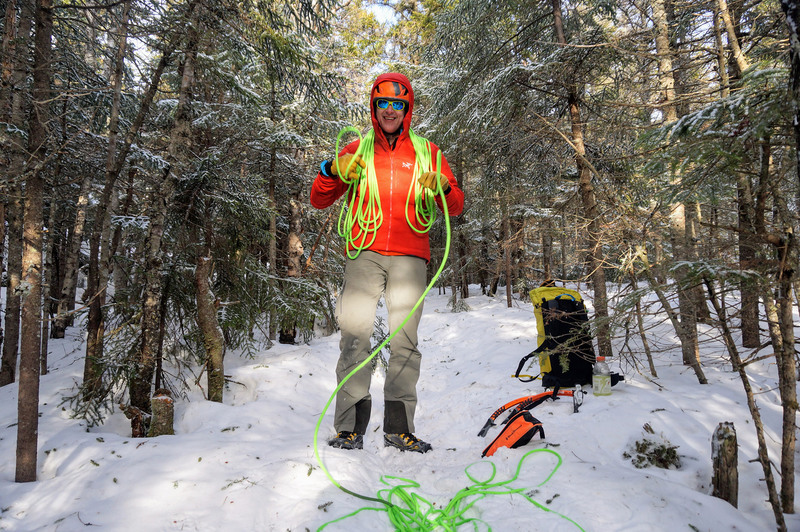 He was training for bigger things, searching for the conditions to match his more sizable feats, and found them on this windy New Hampshire peak more than 4.5 times smaller than Everest. The harsher the conditions were, the better his training. Or, maybe that’s just how an outdoor masochist gets some exercise. Who knows.